After Kiara Liz Ortega's crowning last week as Miss Universe Puerto Rico, we officially have our 2018 team complete for the upcoming major pageants. I think Puerto Rico is back in the Universe!!! Love it!!! I expect a lot form Universe, Grand International and Supranational. I LOVE THE BEAUTY AND AURA OF UNIVERSE, WORLD AND SUPRANATIONAL SO I EXPECT GREAT THINGS FROM THEM. WHERE WINNING IS CONCERNED I THINK PR HAS GREAT ODDS AT Miss Universe WITH THAT REFRESHINGLY STUNNING KIARA. Universe reminds me of Olivia! Earth is stunning but she seems to model-ly for Miss Earth. Supranational is quite pretty too. International and Grand are ok. 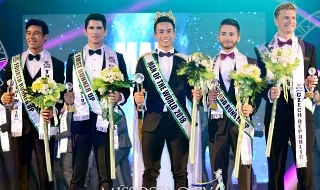 The strongest candidates are for Miss Grand International and Miss Earth. Gorgeous batch. 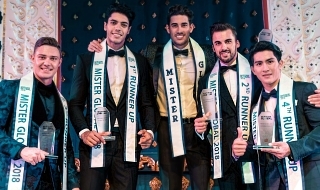 PR has big chances to do well in all big pageants. I simple love Kiara and she is my top bet for Miss Universe 2018. 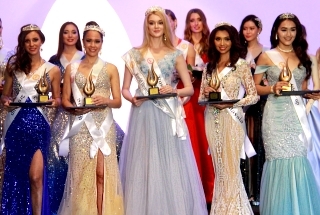 Pr, Ph and India has the strongest set of girls this year in major pageantry. But this girl is currently making waves. Whe she was announced as mepr i said ok another too fierce model prototype with zero personality who always pout. But i was wrong. She's very charming, with a smiling face and innocent looks. She's nailing candid shots even with less make-up. Im just concerned with how she walks and talks knowing she's just 18 and had a limited time to train. Almost 2 weeks i guess. Only came here to show my support to ME Puerto Rico! Just like Heily whom I supported way back, I can just vision this girl to be the eventual winner.